Rent Lake Chalet Seafood Bar and Grill | Corporate Events | Wedding Locations, Event Spaces and Party Venues. 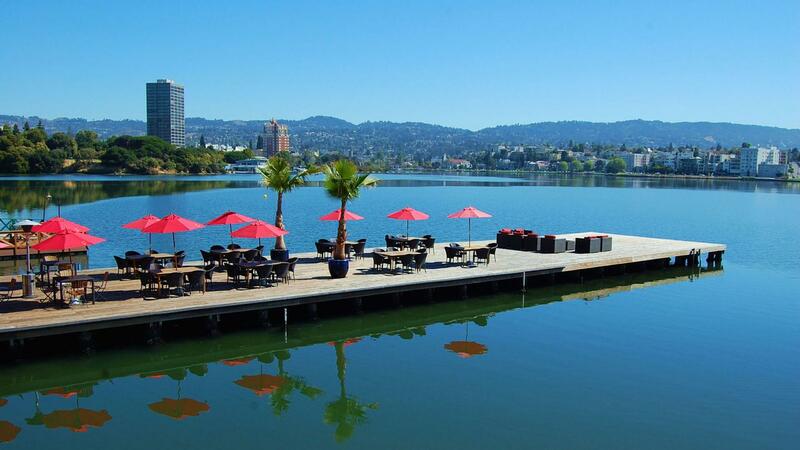 Enjoy spectacular views of Lake Merritt for your next special event. Celevrate with the best service, handcrafted ales and seafood that Oakland has to offer. Enjoy a romantic Gondola ride on Lake Merritt thanks to Gondola Servizio. They also now have their Dock and main building available for private events. Click above to learn more about booking an event. Plan to grab a handcrafted Chalet Ale at our 80 foot marble bar before or after your next private event. Lake Chalet opened in January 2009 and is located in the historic Oakland Boathouse. Since then, we have been proud to provide quality interpretations of classic dishes and daring new ventures into the uncharted territories of food.